SANTA ROSA, Calif. -- Two young trick-or-treaters were struck by a vehicle in Santa Rosa Monday evening, according to police. The incident was reported at the intersection of Rain Dance Way and Tuxhorn Drive around 6:50 p.m.
Investigators determined that a 60-year-old Santa Rosa man headed west on Tuxhorn turned left onto Rain Dance and struck two girls, ages 4 and 9, as they crossed the street. The younger child wasn't injured but the 9-year-old victim was transported to a hospital for treatment. Witnesses told police the crash rendered her unconscious, but she was conscious and talking before going to the hospital. 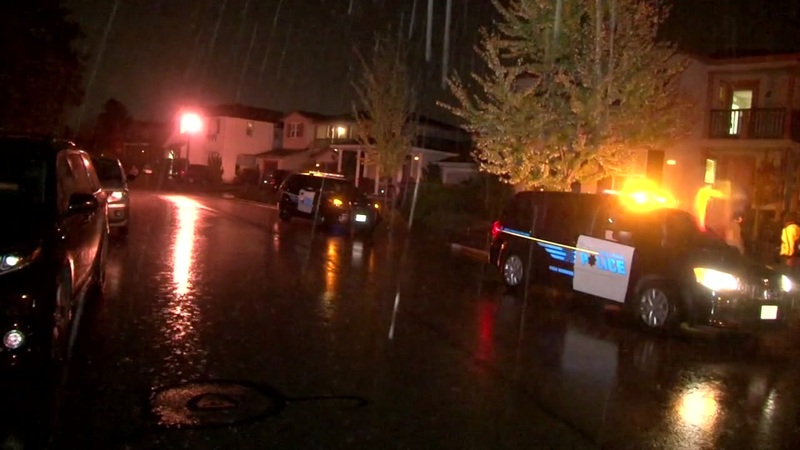 It was rainy and dark when the incident occurred. The driver remained at the scene and cooperated with investigators. Police do not believe alcohol or cellphone use were factors in the collision.